Bradley J. Dougherty is a partner in the Corporate Department of the Indianapolis, Indiana office of Barnes & Thornburg. Bradley concentrates his practice in the areas of business transactions, estate planning and estate administration. He represents individuals, closely held businesses and family businesses. Bradley provides services for the formation and operation of corporations, partnerships and limited liability companies, and representation of these entities as corporate/legal counsel. In addition to corporate planning, Bradley works with individuals to plan their estates to achieve their objectives while minimizing taxes and transfer costs. He assists clients with the selection and preparation of appropriate estate planning documents from wills and trusts to integrated transfer strategies. Bradley also advises personal representatives, trustees, and guardians on the administration of estates, trusts, and guardianships and preparation of state and federal estate and inheritance tax returns. Bradley has been in practice since 1982 and represents clients throughout the state of Indiana. 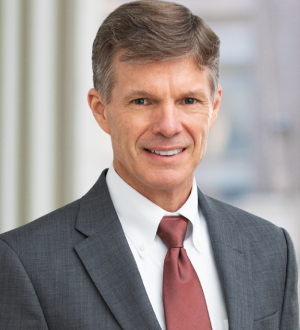 He is a member of the Probate, Trust and Real Property Section of the Indiana State Bar Association, the Indianapolis Bar Association and the Estate Planning Council of Indianapolis. Bradley has served as a panelist for the Indiana Continuing Legal Education Forum and is frequently asked to present at continuing education seminars pertaining to estate planning and the creation and utilization of business entities. Bradley has been recognized in the 2018 edition of The Best Lawyers in America. Bradley graduated from the Indiana University School of Business in 1979 with a B.S. in finance, and earned his J.D. in 1982 from the Indiana University School of Law ' Bloomington. He was admitted to practice in the state courts of Indiana and the United States District Courts for the Northern and Southern Districts of Indiana in 1982 and to the United States Tax Court in 1988. Indiana University Robert H. McKinney School of Law, J.D.